Aunt Ellen has a nice ring to it! Adam Levine and Behati Prinsloo had a lot of help choosing a name for their baby girl. 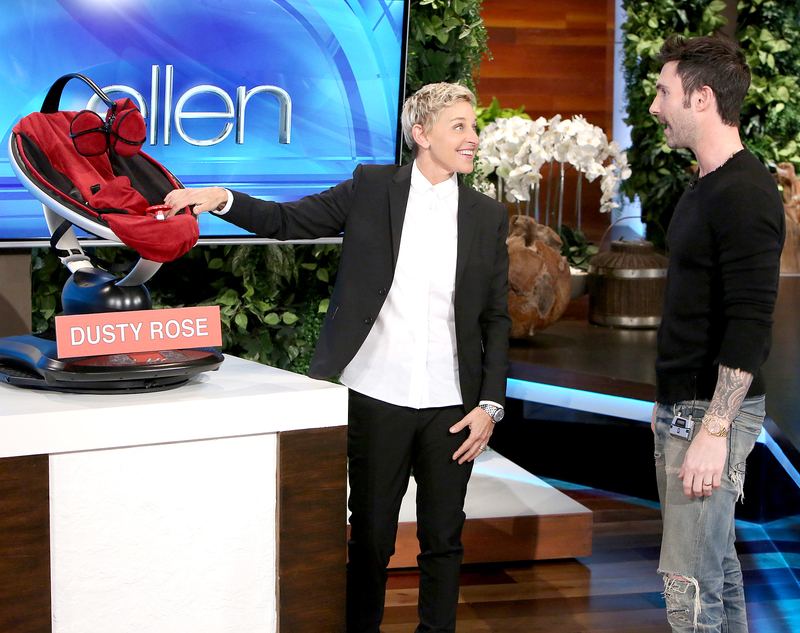 The Maroon 5 frontman, 37, revealed that none other than Ellen DeGeneres thought of "Dusty" while the two friends texted one day. See what he said in the clip above! 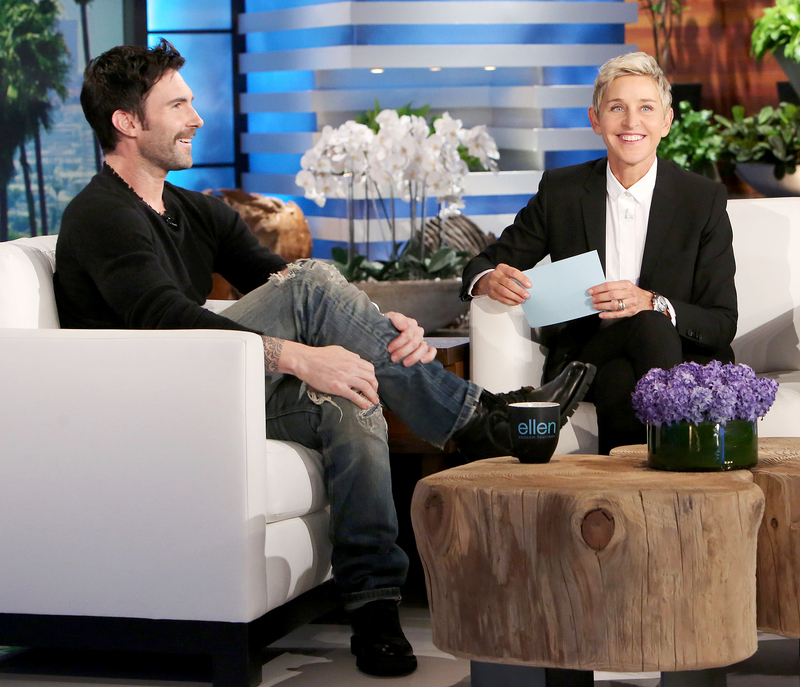 Adam Levine on 'The Ellen DeGeneres Show.' Michael Rozman/Warner Bros.
Levine and the comedian, 58, retold the cute story during her daytime talk show on Thursday, November 3. He recalled how he originally was going to go with another name — not uttered on air — but DeGeneres didn&apos;t approve. "The name game is a tough game," the Voice coach said. "And I think I had a great name, and I texted Ellen and I was like, &apos;What do you think?&apos; And she&apos;s like, &apos;I hate it. I think it&apos;s a terrible name.&apos; And I was like, &apos;Uh, cool.&apos;"
DeGeneres didn&apos;t leave him hanging, though. She then gave him five names "to think about," and "Dusty" happened to be one of them. "So, you basically named my kid," Levine joked. "I ran it by my wife, and she was like, &apos;Err, I don&apos;t like it.&apos; And then I brought it back to her in the eleventh hour, and she was like, &apos;I love it!&apos;"
Levine and the Victoria&apos;s Secret model, 27, married since 2014, welcomed their first child together on September 21. Three days later, the proud dad shared a pic of his little girl via Instagram. "She&apos;s so cute," he gushed on Thursday. 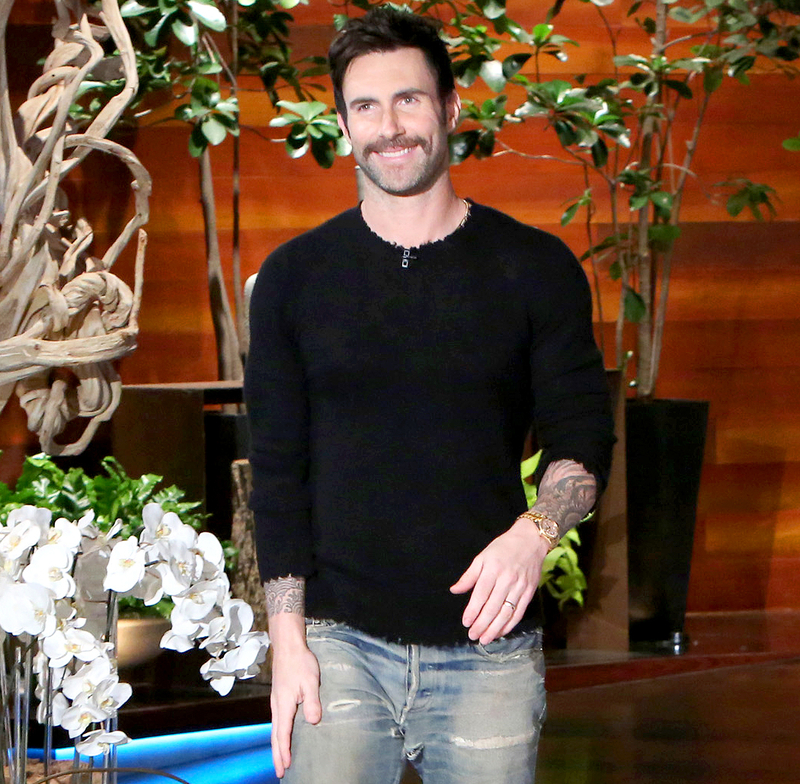 Watch Levine on The Ellen DeGeneres Show in the video above!